Boise, Idaho – For over a decade, Pets Best Insurance Services, LLC, (Pets Best) a leading U.S. pet insurance agency based in Boise, Idaho, has helped provide peace of mind to pet parents by offering customizable pet insurance plans and quick reimbursements on veterinary bills. Pets Best has built a reputation of customer-centric innovations that put the customer’s best interests first, and today is proud to announce that they have been ranked nationally once again as a top pet insurance provider by Canine Journal in a recent comprehensive 2017 audit, Pet Insurance Reviews 2017. 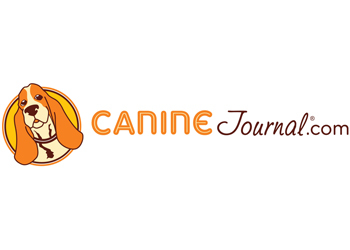 Canine Journal, an online resource covering every aspect of caring for dogs from health concerns and food to dog resorts and much more, was founded by Michelle Schenker in 2007. Schenker and her family are also current policy holders with Pets Best for their own two rescue dogs, Bella and Lily, which made this selection even more personal for Pets Best. When compared with other leading pet insurance providers, Pets Best ranked among the top pet insurance providers across a variety of comparison categories set by Canine Journal such as: policy coverage, customer service, claim payment and price of policy. “We feel that pet insurance is important because it allows pet parents to be prepared for the worst and able to make the best decisions in emergency situations,” said Schenker, who reports on the many benefits of pet insurance regularly on her website. “Pets Best was ultimately our family’s selection because it offered the best coverage at a competitive price for our dogs given their ages of 8 and 9. Our personal experience with the company coupled with the facts we researched on every insurance provider in the market led to Pets Best very high rank,” added Schenker. Pets Best prides itself in being an innovator in the pet insurance industry, offering customers not only customizable plans and quick reimbursements, but added features like a 24/7 Pet Helpline for on-the-go pet health related questions, a user-friendly mobile app, and so much more. Visit www.PetsBest.com to learn more about how Pets Best helps provide peace of mind to policy holders. Or, if you are a member of the media and would like more information or to request and interview with a Pets Best representative, please contact Kerry Sutherland, Kerry@KsutherlandPR.com or (775) 360-6101. Pets Best was founded in 2005 by veterinarian Dr. Jack Stephens with a mission to provide access to comprehensive animal healthcare at an affordable price. Dr. Stephens’ passion for saving pets is what brought him to start pet insurance in the U.S. in 1980. Pets Best offers pet insurance for dogs and cats in every state and has paid nearly $150 million in claims to their customers. Customers rate Pets Best 9.6 out of 10 (TrustPilot) and they are recommended by veterinarians across the nation. Built upon a legacy of innovation, Pets Best focuses on putting customers first by offering unlimited accident and illness plans, wellness plans, a mobile app, a 24/7 Pet Helpline (powered by whiskerDocs), and more. Pets Best offers pet insurance for multiple fortune 500 companies through leading partner connectivity and technology. Pets Best is a proud founding member of NAPHIA, an organization that has established high standards and transparency for the pet insurance industry. Visit www.petsbest.com for more information.